According to the “Cost Vs. Value Report” from Remodeling magazine, roofing replacement registered a 71.1% return on investment. It’s one of the top 10 most value-adding improvements among all midrange home projects in America. Does your Lincoln area home need a complete roof replacement? Call Nelson Contracting (402) 261-0168. In terms of weather resistance, GAF asphalt shingles is a smart choice for residential roofing in Lincoln. GAF shingles come with Advanced Protection® Technology for added strength against extreme weather conditions. Compared with their old counterparts, GAF shingles feature a proprietary fiberglass orientation, premium limestone, optimized asphalt layer, and Dura Grip™ Adhesive locks. As a result, these tough shingles don’t age with time. In fact, they passed many torturous tests to prove their exceptional resistance to wind-driven rain, extreme temperature, and long-term exposure to the sun. Standard asphalt products only live for 20 to 25 years. With GAF shingles, you can expect them to last for 50 years, as backed by the Golden Pledge® Limited Warranty. You also don’t have to worry about intense heat, roof hail damage, strong winds, and other harsh elements. Upgrading to an asphalt roof, can improve the look and feel of your home. It mimics the authentic appearance of slate and wood without the steep costs. GAF offers a huge array of shingles in different colors, textures, and dimensions. Whether you live in a traditional or a contemporary home, you can find the perfect GAF product that meets your unique aesthetic needs. A complete GAF roofing system includes ridge vents that prevent moisture buildup in your home. Adequate attic ventilation would prevent your home from overheating, especially in summer, lowering your energy costs. GAF’s Timberline® Cool Series® shingles reflect solar heat, making your home naturally comfortable during warm season. This also puts less stress on your air conditioning and heating systems, leading to less energy consumption. Shingles that absorb less heat also don’t failure prematurely. With proper maintenance, they would most likely not require too much repair. Invest in roof replacement today for bigger paybacks on your next remodeling project. 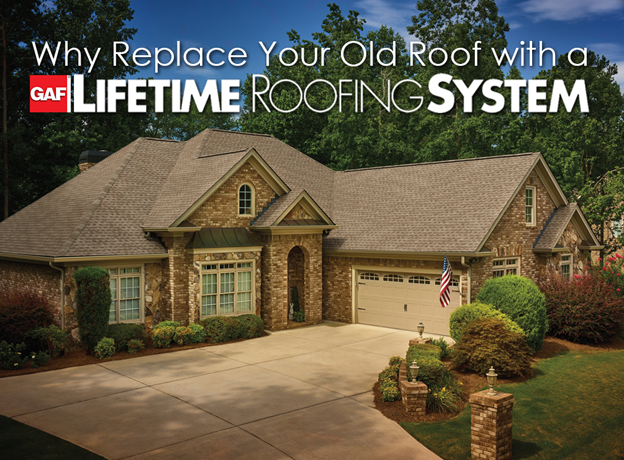 With GAF shingles, you can ensure durability, energy efficiency, and beauty in one system. Nelson Contracting can help you with replacement and roofing repair As a GAF Master Elite™ roofer, we’ll make sure you have a better home after the project. If you want to learn more about roof replacement, call us today at (402) 374-4233. Roof Maintenance: Why Should You Take It Seriously?